We’re going to have an amazing fashion show this Friday featuring lots of local designers! I’m so excited! Not only will we be feautring Curate Boutique, Jewels by Jules with Lisa Robin Jewelry, and 501 Salon, but we’ll also be featuring T’marie’s Portia Renee Boutique Custom Shoes & Accessories! So, for this “Fabushoe Friday” post, I thought I’d feature this fabulous local “shoe glamifier.” I just love love love her work! 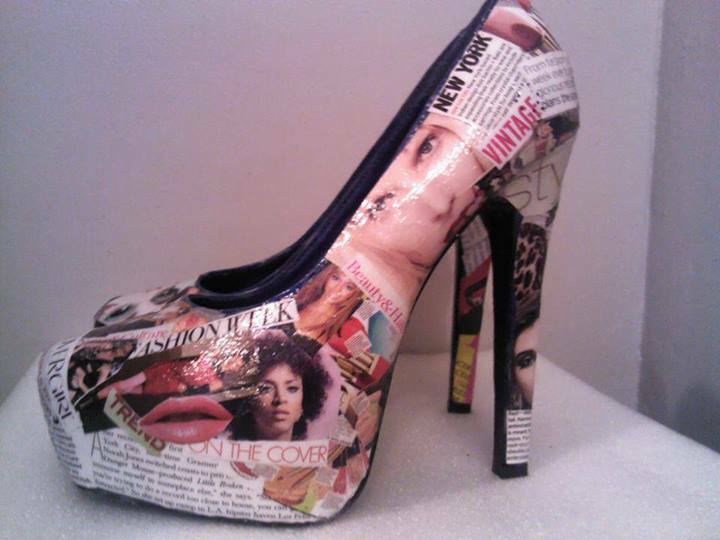 The owner and lead designer, T’Marie Hilson, can do custom designs if you want the perfect pump for an outfit. She also does designs for weddings and special occasions. Sneak peek of a design to be featured at Friday’s Wearable Art Fashion Show event!